At the height of his popularity in the 1940s and ’50s, Yiddish crooning sensation Seymour Rexite starred on 18 half-hour radio shows a week. At its outset his career comprised an all-Jewish repertoire that spanned from liturgical song to Yiddish popular music. But when he took to the Yiddish airwaves, the bill of fare diversified. Whatever song happened to be popular on American radio, his wife, Miriam Kressyn, translated into Yiddish and Rexite sang on one of his shows. He feared nothing, sang everything, and stayed on the air for the better part of five decades. The son of a cantor, Rexite (originally spelled Rechtzeit) started performing professionally while still in knickers — the “Wonder-Boy,” they used to call him. He hadn’t yet reached his teens when he sang before a special congressional committee and then at the White House in a bid to convince the United States government to allow his mother and sisters to emigrate from Poland. The command performance so moved President Calvin Coolidge he relented to the plea on the spot. Rexite was equally persuasive in the many venues he came to play, from Yiddish theater, radio, recordings, and film to regular gigs in upscale New York nightclubs like Billy Rose’s Diamond Horseshoe and the Casino de Paris. Excelling in each, Rexite was poised to hone the sort of musical crossbreed that formed the foundation for some of his best remembered songs. 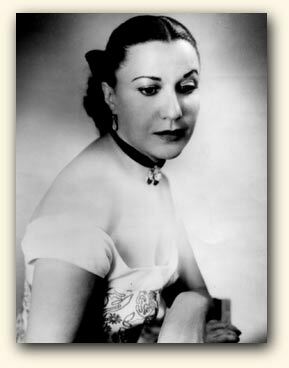 The blend had its roots in the 1943 marriage of Rexite and Miriam Kressyn, a popular Yiddish actress and singer in her own right. Kressyn proved an extraordinary talent at turning American standards into Jewish hits. Who could have guessed that show tunes from Oklahoma would sound so good in Yiddish? The team’s work also translated into highly successful advertising for Rexite’s radio sponsors, which included national clients like Ajax and Campbell’s Soup. 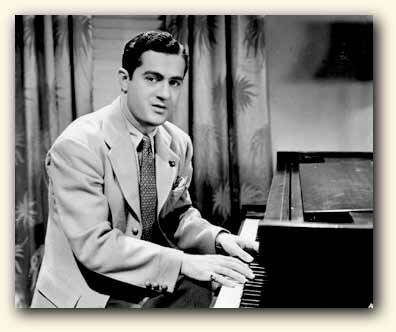 While Rexite often guest-starred on lavishly produced shows like WHN’s “Yiddish Melodies in Swing,” the programs he created, like “The Barbasol Troubadour,” were all variations on a theme: Rexite, a microphone, and a pianist/organist. His accompanists included Sam Medoff, moonlighting from his gig as bandleader of “Yiddish Melodies in Swing,” and Abe Ellstein, who composed many of his hits. 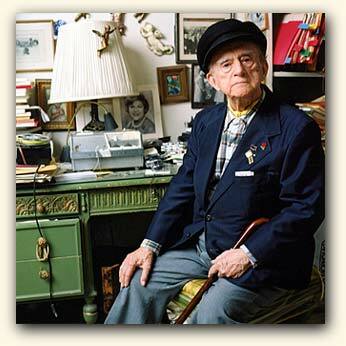 Seymour Rexite lived in lower Manhattan until his death, at the age of 91, in October 2002. Seymour Rexite (né Rechtzeit) began his career as a child star. 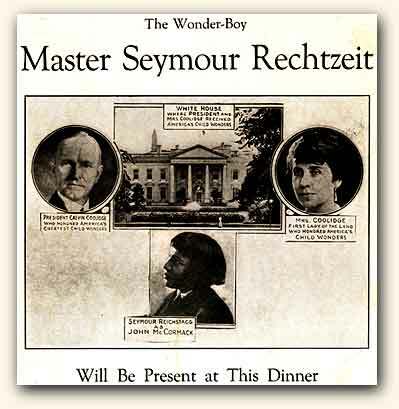 His solo command performance at the White House so moved President Coolidge that he granted the “Wonder-Boy’s” request to let his mother and sisters emigrate to America. 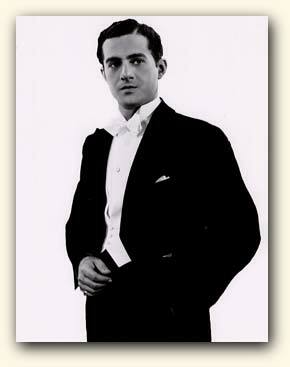 Seymour Rexite often sported evening dress for his uptown society gigs. An important Yiddish singer and performer in her own right, Miriam Kressyn translated American standards into Yiddish for her husband, Seymour Rexite. Seymour Rexite is pictured here in his apartment in lower Manhattan. Next to him is the Wollensak reel-to-reel tape player he used to listen to his old broadcasts.